Must be placed on the T-shape runner. 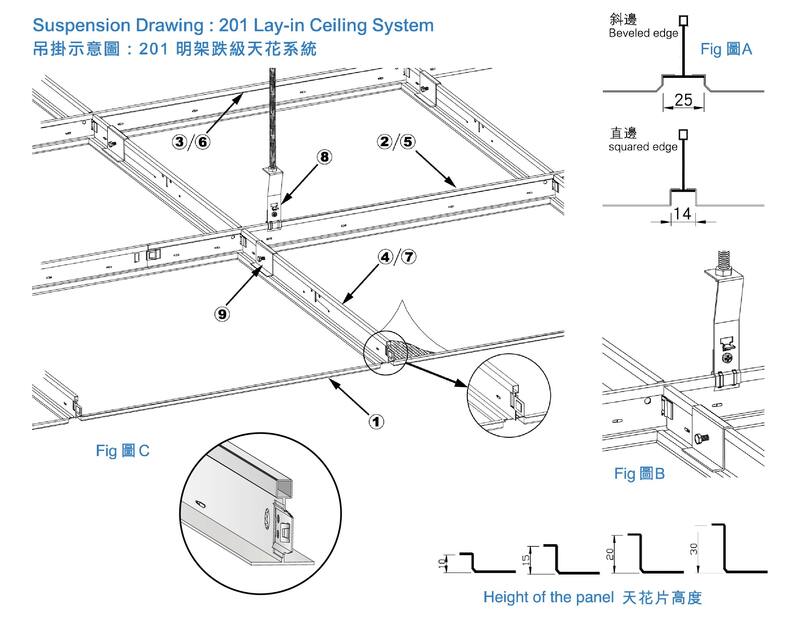 Each ceiling component can be easily installed and demounted. Different height of panels are offered including 10mm, 15mm, 20mm or 30mm which helps achieving different visual effects.. The combination of T-shape main and cross runners are built by the suspension frame which is hanged by T-runner bracket (P-102).